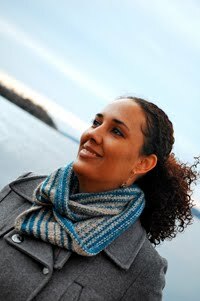 Cambria Washington: knitwear & patterns: Gingerbread Arm-Warmers are here! 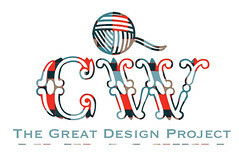 I was so excited today when I opened my email and saw that my new pattern went live on the Knit Picks website. This is my first contribution to the Independent Designer Program and the experience was so pleasant that I'll definitely contribute again. These my friends are the Gingerbread Arm-Warmers, knit in Knit Picks Palette. I have a definite addiction to Palette and I've got a basket full upstairs (no kidding...an entire basket). I love to use Palette for colorwork because there are just so many beautiful shades and it's so reasonably priced. It's also a little sticky so it's great for steeking. I've knit vests, hand-warmers, socks, and lots of other things with my stash. These arm-warmers start at the elbow and work down to the hand. The decreases are spread out over the entire length of the mitt so that it tapers gradually, and the colors are carried up the inside to reduce the number of strand you have to weave in when you finish. The thumb gusset is placed in the anatomically correct position (where your thumb actually is, rather than on the side of the mitt). The wrist has a fun fair-isle motif that helps pull it in a bit at the narrowest point without more decreasing/increasing. If you're uncomfortable with stranding, you could leave that out and just stripe all the way up. They also have longer than average hands so that they keep the chill away. There pattern offers three sizes to fit hand circumferences of 8, 9, & 10 inches, and the fair-isle motif is charted. The pattern used less than half a ball of each of the following colors: 1988 Bison, 4908 Lady Slipper, ch30 Camel Heather, 2200 Fairy Tale, c850 Bittersweet Heather, & 8140 Cotton Candy. I had enough yarn left over that I could make another full pair...maybe two more pairs! However, if you don't have a lot of Palette leftovers littering your stash like I do, you can order a kit straight from Knit Picks or you can simply download the pattern and choose your own yarn to go with it. Stay tuned. I'll have this baby up on Ravelry soon.